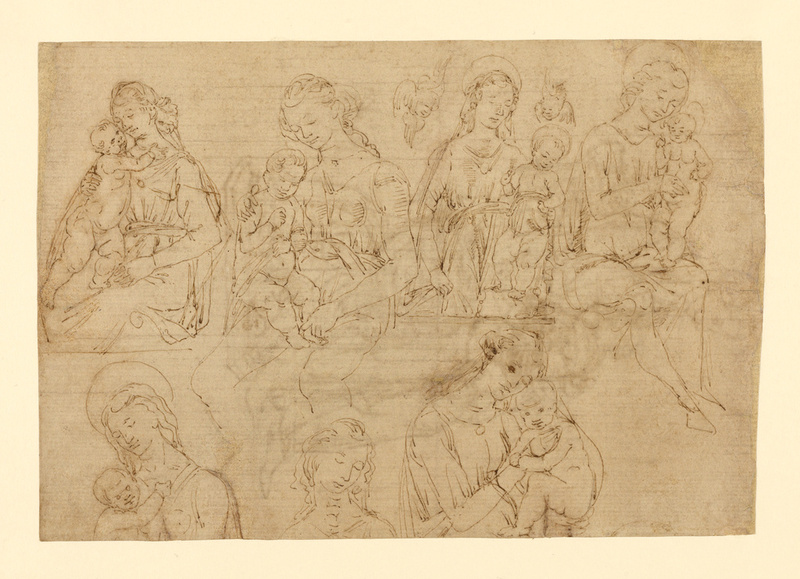 Desiderio da Settignano, or a draftsman from his workshop, drew seven sketches of the Virgin and the infant Jesus in pen and ink over elaborate stylus underdrawings that frequently differ greatly from the overdrawings in pen. He used a light, delicate touch and concentrated on the outline of the forms with minimal internal modeling. 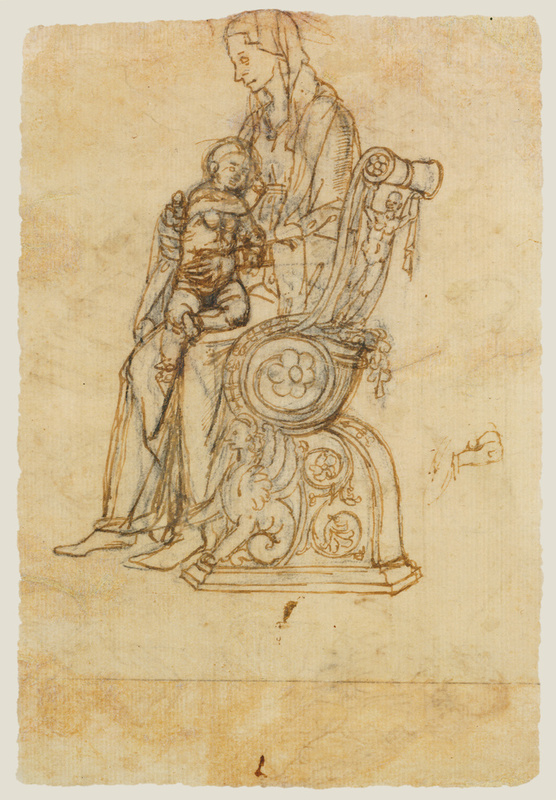 The artist drew more broadly on the verso, using considerable black chalk underdrawing along with the brown ink. Here the Virgin and Child sit in profile on an elaborate throne ornamented with a sphinx, a curling rinceaux motif, and various floral designs. Given the profile format, scholars believe this sheet was probably intended as a study for a relief, perhaps in terracotta. Renaissance sculptors used drawings as important tools for numerous purposes: to experiment with new ideas, for workshop assistants to copy, or to tempt a patron with selections for a new commission.